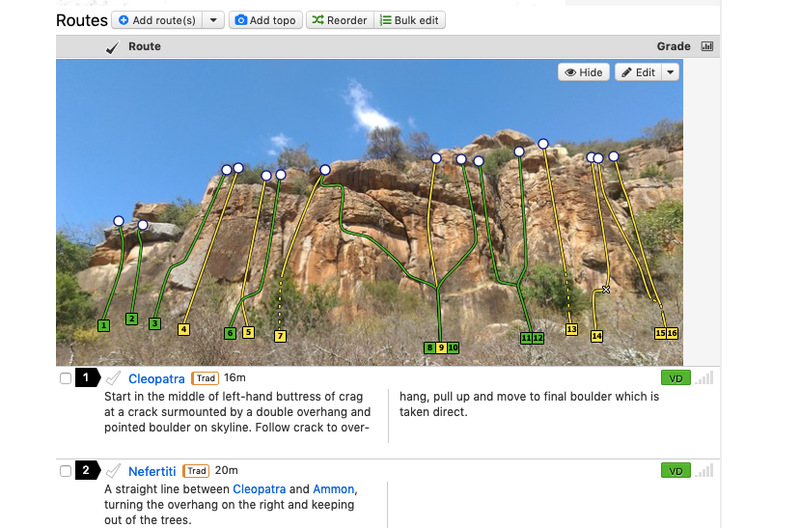 You can now find all the info regarding climbing in Lukenya online on theCrag.com! This project took lots of work by Fish, Ian and other MCK members. We’re currently working on Hells Gate. We also need photos for the topos, so please send them our way. And let us know of any inaccuracies or routes missing. It is with heavy hearts that we inform you that Ian Howell has passed away surrounded by family on November 26, 2018 in Bath, UK at the well-earned age of 82. 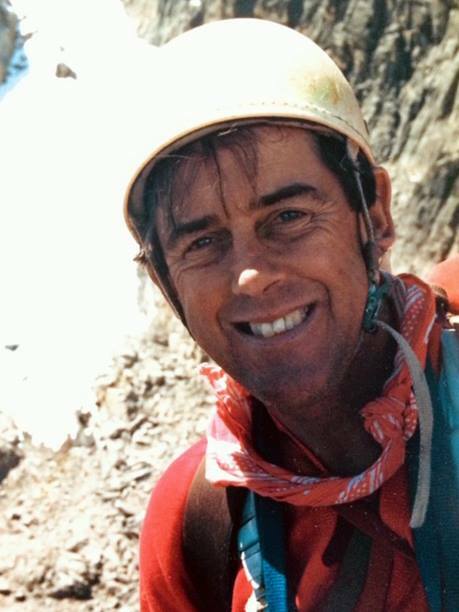 Ian pioneered many climbing routes in Kenya, including at Lukenya, Hell’s Gate, and Mt. Kenya. Astonishingly, he single-handedly built the bivouac hut on the summit of Nelion, in the process completing 13 solo ascents of Nelion in a few week period of 1970. Longtime climbing partner Iain Allan writes: “He was a climbing force, such as we’ve never witnessed here before… I was privileged to share so many of these climbs with him.” Ian’s impact on Kenyan climbing was enormous and will continue to be felt for generations to come. We are deeply indebted to Ian for his contributions to climbing in the country, and saddened by the loss to his family, his friends, and the MCK Community. Please feel free to share stories or testimonies about Ian Howell below. We will keep this page on the MCK website. 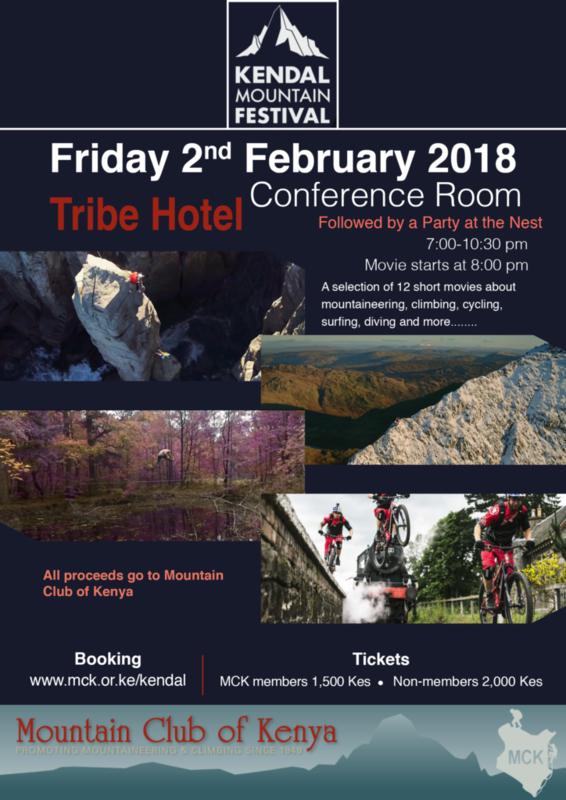 In December 2017, Mickael Asser and I decided to run on Mount Kenya. One of our challenge was to find a good reference article or video online to guide our planning. We watched a couple of videos online but they lack details in terms of training requirements, what was the challenge and providing tips for others. In order to prepare ourselves for the high altitude and steep run on Mount Kenya, we started training on other mountains every Saturday for four weeks. We run on Mt. Longonot, Mt. Suswa , Elephant Hill and Mt. Satima. On our last training on Mt. Satima, we completed the 12km run in 1 hour 50m. This was a good indication for us to set a date for the big run. We reached Shipton Camp, 4,200masl, in less than 3 hours covering 14kms. After two minutes water break, we set off towards the summit in an easy pace. The most difficult part of Mt Kenya is the 3km between Shipton camp and Lenana, which is very steep with lose rocks and scree slopes. We summited Lenana in 4 hours and 48 minutes. On our way down, we missed our trail and struggled to get back on the right track towards Shipton. After two hours into our decent, we found a trail that led us to a camping site situated at 3,900masl. The guides at the camp informed us that we are running towards Chogoria gate rather than Old Moses. Exausted but determined to complete the run, we had to climb back to 4,400m and descend towards the gate. Despite the set back, we finished our run at Chogoria Roadhead camp site covering a total of 29.5kms in 8 hours 49 minutes. Proper planning of the trail before hand and packing right for the challenge is critical. Missing our trail after the summit and looking for a way back took our energy. We also run out of water 7 hours into our decent due to our ultra light pack. On the bright side, Chogoria route is the most scenic and breathtakingly beautiful. We enjoyed every bit of it and if we do it again, I think this will be the route we will take to the summit.